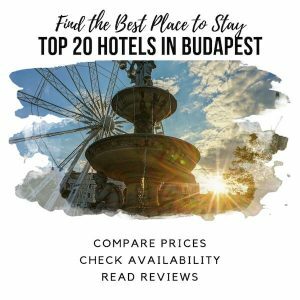 No matter what kind of trip you have planned, the 6th is a great area to stay in Budapest. It's a busy downtown neighborhood with all walks of life. 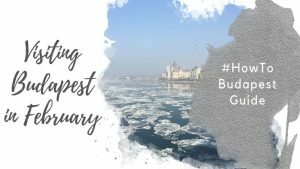 From working class Hungarians to the super rich, from cultural tourists to stag dos, Budapest's 6th District is a bustling part of the city. It's full of life, with plenty of cafés, restaurants, and attractions to keep you busy. Budapest’s 6th District is a bustling area of Pest. There are plenty of bars, cafés and nightlife to keep you busy here. Like Budapest’s 7th District, parts of the 6th tend to be a bit gritty on the surface, but not unsafe. However, the 6th is also home to some stunning architecture along Andrássy Avenue. The impressive Hungarian State Opera House is a highlight. However, all along Andrássy you’ll find beautiful buildings, upscale shopping and restaurants. 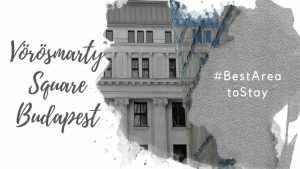 Considered part of central Pest, the 6th is a super convenient area to stay in Budapest. Full of Hungarians going about their day-to-day life, it’s a fairly typical and mid-income inner city neighborhood. Where Is Budapest District 6? If you think of the 6th as being the same shape as a slice of pizza, Bajcsy-Zsilinszky út and Király u. form the long edges of the slice, running between the pointy end (Deák Ferenc Square) and the crust. 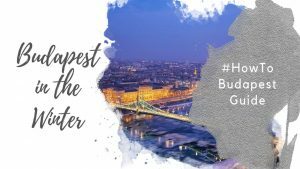 While the official ‘crust’ of the 6th district is Dózsa György út (near Heroes Square), we recommend staying much closer to the city centre. Vörösmarty utca metro stop is a good outer boundary to go by when booking a hotel or holiday apartment in Budapest 6. Just don’t confuse the Vörösmarty utca metro stop in District VI with Vörösmarty tér (square) in Budapest 5th District! Andrássy Ave is a highlight of Budapest’s 6th District. Oft referred to as the Champs-Élysées of Budapest, it’s a UNESCO World Heritage Site … both above and below ground. 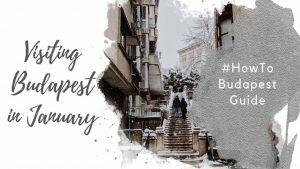 Built at the end of the 19th century, Andrássy Ave. connects Elizabeth Square in Budapest’s 5th District with Heroes’ Square and City Park (Városliget). The Budapest Opera House, Drechsler Palace (due to become a W Hotel), and Parisi Café sit on the busy stretch between Elizabeth Square and Oktogon. This section of Andrássy also has plenty of luxury shops and upmarket restaurants. Beyond Oktogon, Andrássy is generally residential, with some offices and embassies. That’s not to say this section of the street isn’t worth visiting: it’s a beautiful stretch with lovely architecture. The House of Terror Museum is also in this section. Generally, the architecture you’ll find along Andrássy is Neo-Renaissance. They were pretty much all built during a late 19th century economic boom to celebrate the Hungarian millennium. Andrássy is great for a walk anytime of year, but it’s especially pretty at Christmas. The city decorates the trees in white Christmas lights, making this already grand street even more elegant! Jokai and Liszt Ferenc Squares sit opposite one another on either side of Andrássy Ave.
Of the two, Liszt Ferenc tér is a bit more interesting. Lined on both sides by restaurants, there’s a pedestrianized section down the middle. It’s especially lovely in warm weather, when the trees provide a natural canopy. Andrássy Ave marks the northern end of the square, and Király u. marks the southern end. Cross Király u., and you’ll find yourself in Budapest’s 7th District. The beautiful Liszt Ferenc Academy music conservatory (Liszt Ferenc tér 8) is a highlight on the square. In warm weather, students often practice with the windows open. If you’re lucky, you’ll catch a free concert by hanging around outside the building! If you’re hungry, Menza is your best bet for Hungarian food on Liszt Ferenc tér. During lunch, they offer an affordable set menu (which they post daily on their Facebook page), but you can also opt for à la carte. While Jokai tér isn’t as lovely, it’s worth visiting around Christmastime. There’s an adorable little Christmas market here! If you’re in the mood for a cozy pub, skip the Irish pub on Liszt Ferenc tér and cross Andrássy to Jokai tér. Kiadó Kocsma is a great little spot on the western edge. Nagymező Utca is a pretty street off Andrássy Avenue. It’s on the inner stretch of Andrássy, between Elizabeth Square and Oktogon. Nagymező Utca is remarkable because it’s home to several beautiful theatres. They all sit on the one-block stretch closest to Andrássy. While it may seem strange to include a metro line on a highlights list, Budapest’s M1 is the cutest. Anytime we have visitors in town, I always take them for a short ride along Budapest’s tiniest and most historical metro line. The M1 is in fact on the UNESCO World Heritage List. Build in 1896, it was continental Europe’s first electrified underground metro. Worldwide, only London’s is older. In addition to being historical and adorable, Budapesters and tourists rely on the M1 every day. Running from Vörösmarty tér to City Park, it runs the length of Andrássy Ave. While the line can get quite busy in high season, it’s still worth a ride. The cheerful yellow metro cars are tiny, and each station looks straight out of the 1890s. 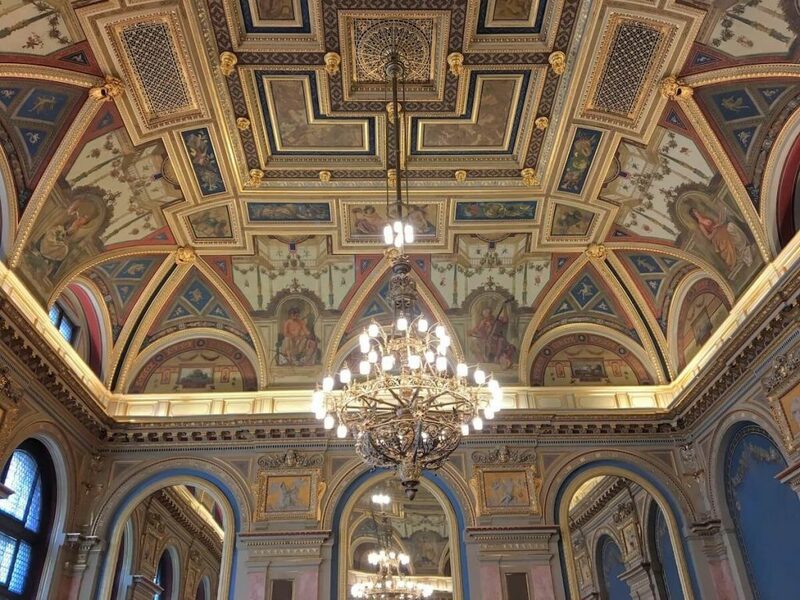 The jaw-dropping Hungarian State Opera is a true highlight of Budapest’s 6th District. Both the interior and exterior are stunning. To visit the interior of the building, you have two options: see a performance, or join one of the daily tours (Ft 2,490). The tours leave at 15:00 and 16:00 daily, and are offered in English and several other languages. You’ll visit various spots in the Opera House, as well as enjoy a mini concert. If you’d like to see a performance you can check the Opera website for details. Note, as of 2018, the Opera House is closed for refurbishment. It’s due to re-open at some point in 2019, but it’s unclear when in 2019. Performances are currently held at the Opera’s other theatres. The building is still open for tours, but the auditorium is not included on the rooms you’ll visit. Opened in 2002, the House of Terror Museum is one of Budapest’s most popular museums. On the daily, tourists line-ups around the corner to visit. On the surface, the House of Terror Museum seems like a good idea. We visited on our first trip to Hungary in 2012, and didn’t notice anything amiss. Housed in the former HQ of the fascist Arrow Cross, the museum tells a story of Hungary under 20th century fascist and communist systems. Despite the crowds, the House of Terror Museum is quite controversial among historians and activists. Curated by historian Maria Schmidt, critics argue it whitewashes Hungary’s role in the atrocities that unfolded here. In fact, this is a common criticism of Viktor Orban’s government and its projects (of which the House of Terror is one). The German Occupation Monument on Freedom Square is another common target of criticism, for largely the same reason: it portrays Hungary as a passive victim of foreign powers, rather than a willing participant. The soon-to-be-opened Holocaust Museum, also curated by Schmidt, has also attracted a fair amount of controversy. That’s not to say you shouldn’t visit the House of Terror Museum. It’s illustrative, to be sure – perhaps just not in the way its founders intended. Besides the aforementioned Menza, which is an excellent spot for breakfast, lunch or dinner, we’ve listed some of our other favorites below. Closed since March 2017, Lotz Hall in the former Paris Department Store reopened in early 2019 as the Café Parisi. The building itself has a fairly long history, first serving as a casino in the 19th century. The casino’s grand ballroom – Lotz Hall – is so named because of the frescoes by Hungarian painter Károly Lotz. He is also responsible for the ceiling of the Opera House. In the early 20th century, the building was home to Paris Department Store, which closed in 2000. From 2009 to 2017, it served as a bookstore and café, closing again in 2017 due to financial reasons. The ground floor of the building is now home to Future Park – a family amusement park. And the top floor – the stunning Lotz Hall – is once again a café. With an interior that rivals New York Café in the 7th district, which is more of a restaurant, Café Parisi is much more casual. Choose from decadent coffees, cakes, and wines/liquors, and kick back to relax a bit! Opera Café is temporarily closed while the Opera House is being refurbished. The Opera House is scheduled to reopen sometime in 2019, although an exact date hasn’t been provided. Check their website for details. Although it channels the feeling of a grand old cafe (like New York Cafe, or Central Kavehaz), Opera Cafe is actually quite new. Its current iteration opened in 2015 in a previously unused room within the State Opera House. With a full menu, you can visit this cafe for a full meal, or simply soak in the ambience over a sweet treat and coffee. A tiny little spec of a place, Piccolo Café makes up for it’s lack of seating with its general adorableness. In the mornings, they have an affordable coffee and croissant deal. It’s a good bet if you need something quick to as you get going for the day. There is a little seating in the loft if you need to take a load off. Italian-style scissor pizza in Budapest! Pizzica is a tiny, hole-in-the-wall style place. There’s a bit of seating at a window bar, and some tables in the loft space upstairs. We often find we’re in and out of here too quickly to really care about the seating; the pizza is the star attraction. Pizzas are baked as rectangles, and then cut with scissors to create a piece for serving. What I love about this place, however, are the different combos. Choose from options like potato rosemary, prosciutto and sausage, and even some cheese-free options. Quick and cheap lunch or dinner, and a popular end-of-the-night drunk food, too! Két Szerecsen is a cozy little bistro with great Hungarian food, as well as contemporary European fare. It does get quite busy, so best to make a reservation, but they’ll try to accommodate if you show up without one. They note on the menu whether the food is gluten-free, lactose-free or vegan. That said, I’d be cautious if you have a serious allergy or are celiac. The kitchen itself isn’t allergen free. A small and cozy pub in a very convenient location, just off Andrássy út. Staff are friendly, and they have a small but good menu of both pub food and mains. Thing massive burgers, goulash, risotto and tapas plates. It’s not uncommon to see people here on their laptops, working, or reading a book over a beer or meal. It’s got a nice, casual vibe that encourages you to hang out awhile! A good spot for a cocktail and tapas with nice ambience. In the summer, Farm Gastro Bar has a great terrace, that has the feeling of an upscale beer garden. In winter, the service moves indoors to a cozy and welcoming space. If you’re feeling adventurous, they offer blind dinners as well, in a special room that’s pitch black. Sitting in a great location on Andrassy Avenue, 360 Bar offers gorgeous views over the city from their sky terrace. If you’re worried about cold weather in the winter, don’t. 360 Bar sets up 8 transparent igloos in the colder months. They’re heated, so you can enjoy the views and stay warm! Reservations are strongly recommended, but they do charge a reservation fee. A fairly typical Budapest ruin bar, Anker’t has a very different vibe, depending when you go. If you head there on some Sunday afternoons, you’ll find a family-friendly vegan market. If you arrive Saturday at midnight, you’ll find a smoky garden bar filled with drinking. Anker’t’s main draw is the garden, which is in the central courtyard. They have covered space (that’s not quite indoors, but makes do when it’s cold) around one edge. And a fairly small indoor space at the back. If you’re looking for fantastic cocktails in the 6th, it’s hard to go wrong with TukTuk Bar. Intimate space, great music, and friendly staff are the cherry on top. The 6th is an interesting district because it has something for everyone. 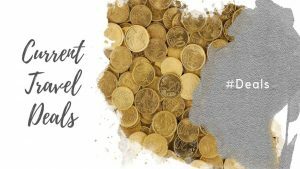 Both budget and luxury travellers will find something in the 6th. It all depending on where you choose to stay. 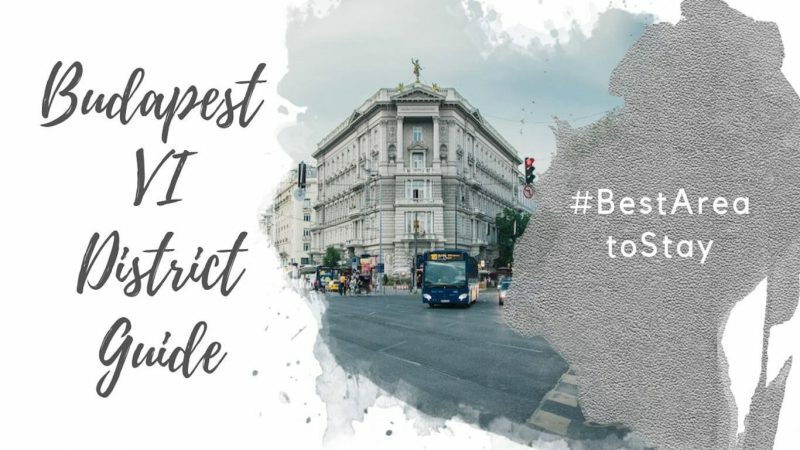 Between Andrássy út and Király u., and near Deák Ferenc Square, you’ll find the most upscale parts of the 6th District. Liszt Ferenc tér is a very nice pedestrian street lined with restaurants. Hajós u. is another nice pedestrian street lined with restaurants, although it can get a bit rowdy at night. Closer to Nyugati pályaudvar (Nyugati train station) and West End Shopping Centre, and on the other side of Teréz krt. (and especially beyond Vörösmarty utca metro stop), you’re more likely to find a bargain. Staying in the 6th means you’ll have great access to both metro and tram options for public transportation. Trams #4 and #6 run along north-south along Teréz krt., and go all night.The 6th is also well served by the M1 (yellow), which follows along Andrássy út, M3 (blue), which runs along the other edge of the pizza slice, and M2 (red) which connects at Deák Ferenc tér. Distances listed are from the Hungarian State Opera House to other major attractions in Budapest. Times are approximate, and transit times depend on traffic. 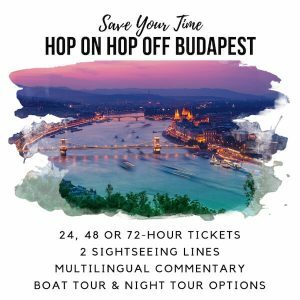 Buda Castle, Fisherman’s Bastion, Sandor Palace, and Matthias Church: 18 to 26 minutes on Bus 105 or 16 from Deak Ferenc Square. 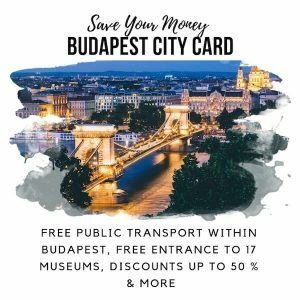 You can also walk across the Chain Bridge and take the Buda Castle Funicular up to the Castle District.